Hornsby Real Estate Co. has been active in Commercial Real Estate for over 37 years. 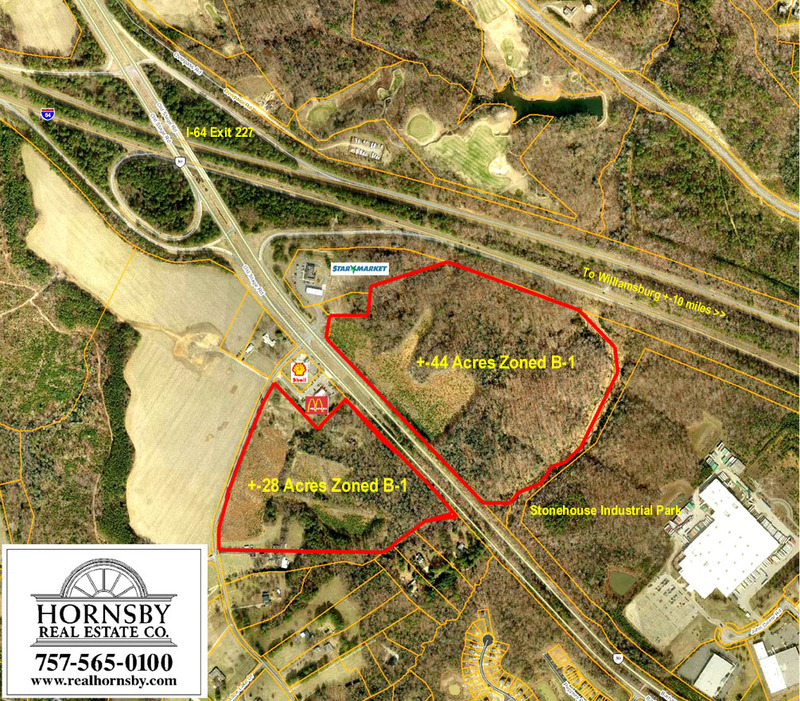 Hornsby has brokered business sites for Cracker Barrel Old Country Store, McDonalds, Willilamsburg Bowl, 7-11 Stores, Wendy's Hamburgers, Color Tile, Citizens and Farmers Bank, Amoco, Exxon, Walgreens, and many more. Bobby Hornsby has worked as a Commercial Real Estate Appraiser since 1993, which gives him a special insight into the market area that he can share with you in your search for office, retail, or other commercial property. As an investor or an end user, call today for answers to your Commercial Real Estate questions. I-64 exit 234 at State Route 199 just west of Williamsburg. This is an ideal location for interstate service business. Address: 297 Fenton Mill Road. Address: 286 Fenton Mill Road. Zoning: LB Limited Business & Rural Residential. Click Here for a Print-Ready PDF about this property. 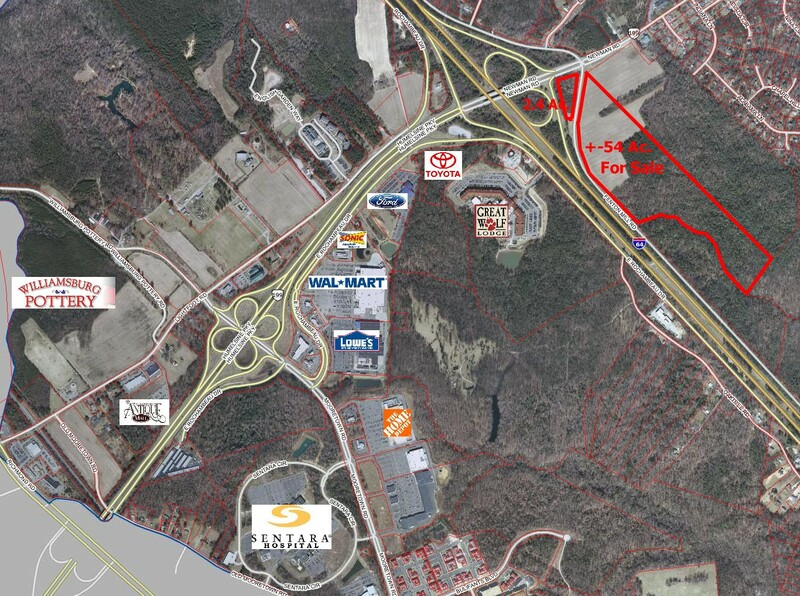 directly adjacent to I-64 exit 227 at State Route 30, west of Williamsburg. These are ideal locations for interstate service business.